Why choose Velocity Email Marketing Service? Dedicated account manager for your account who you can call! Velocity Marketing Software is the most cost-effective Email marketing service on the market. You may want an email marketing service to promote your small business or even large corporation. An email marketing service is essential to handling large amounts of email each day. Velocity Marketing Software makes sure your information is secure and that the emails will be handled by certain ISPs. Without this, your IP address may be blocked from sending out future emails. 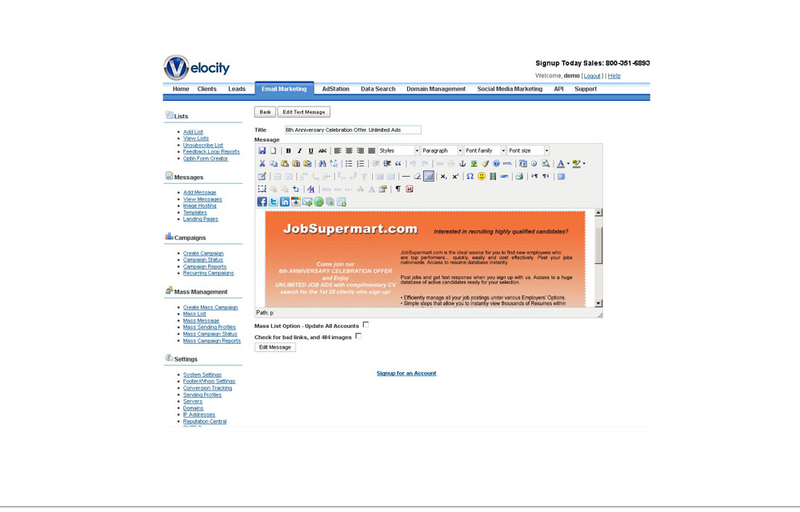 Velocity's email marketing service does all of the technical work for you. All you have to do is write out your own emails. Furthermore, an email marketing service will often have you work around their software. This is not the case at Velocity. 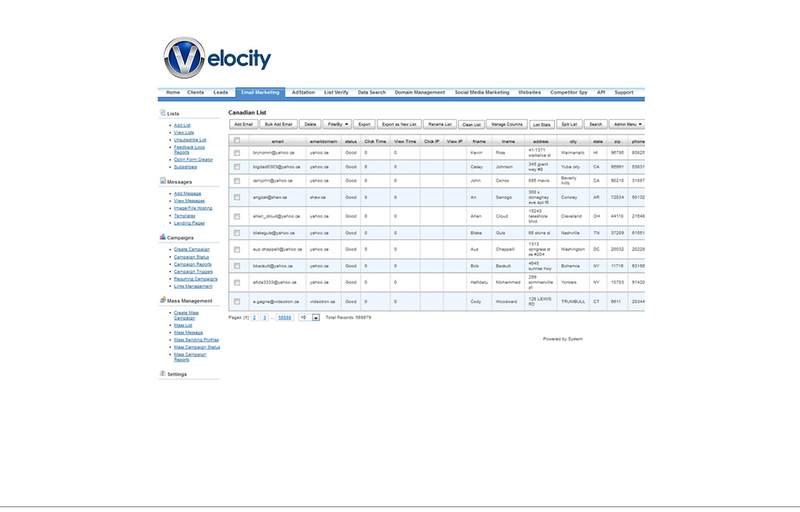 Velocity Marketing Software will work for you to make sure that your account is set up the way you want. You can also order custom logos to be made on your site so that people on your mailing list will recognize your brand instead of ours. Having an email marketing service is essential in business marketing today.